As a nationally recognized flight school, Nashville Flight Training provides the highest quality, FAA-certified flight and ground instruction so that customers are fully equipped to use their flight training skills for pleasure, business, and career objectives. Established in 2010 as an FAA Part 61 flight training school at Nashville International Airport, Nashville Flight Training has grown from one airplane and one instructor to ten airplanes and nearly 25 instructors and hundreds of students who have accomplished their dream of becoming a pilot. 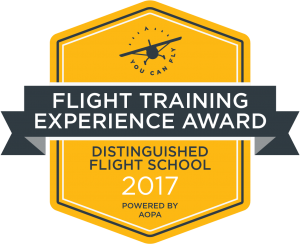 In 2015, 2016 and 2017, Nashville Flight Training was recognized for its high standard of accomplishment in flight training by the world’s largest aviation association, the Aircraft Owners and Pilots Association (AOPA).